Actor Lisa Ray, who openly shared her battle with cancer a few years ago, has announced the arrival of her twins via surrogacy. Legal regulations got in the way of Ray’s desire to undergo surrogacy in India. However, she was able to find her joy elsewhere in the world. The actor decided to openly talk about it so as to help other people who find themselves in a similar situation. Lisa starred in films such as Kasoor (2001) and Water (2005), after making a smashing start to her career by featuring in a music video for Nusrat Fateh Ali Khan. 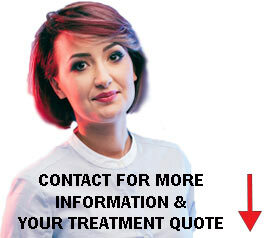 She was diagnosed with blood cancer (multiple myeloma) in 2009, but aggressive treatment and stem cell therapy helped her be cancer-free in one year’s time. Unfortunately, she relapsed two years later and the cancer came back right after her wedding to Jason Dehni on October 20, 2012. With the diagnosis of cancer and the heavy dose of medications that followed, Lisa Ray could not get pregnant. Reproductive cells are usually damaged in cancer treatments, and women undergoing these should consider the option of egg freezing. “It has been an arduous and interesting experience. Having been diagnosed with multiple myeloma (a form of blood cancer) in 2009, which requires me to be on a lifelong dose of medication, pre-empted the possibility for me to carry children myself,” Lisa said in her interview with Bombay Times. In their mid 40s, when Lisa and her husband decided to start a family, they considered the option of surrogacy as she could not carry a pregnancy herself. Why were they denied surrogacy in India? Commercial surrogacy in India was made illegal for foreigners just a week before they were to start the process. “We were crushed. While I understand the pressing need to regulate the industry and prevent exploitation of surrogate mothers, it was a case of literally throwing out the baby with the bath water,” she said. Lisa and her husband then turned to Mexico, but they did not succeed. “We hired an agency to help, had an unsuccessful attempt in Mexico, and spent a lot of money, emotional resources and sleepless nights. But as a cancer survivor, I firmly believe in overcoming the odds. And with my husband and a few close friends’ support, we hoped for the best,” she said. Finally Eastern Europe is where they found a solution. Surrogacy in Georgia is allowed for foreigners and Lisa describes it as a transparent, regulated process. The couple even relocated to the capital city of Tbilisi for a few months, and finally in June 2018, their little bundles of joy arrived. She introduced them to the world as Soufflé (Sufi plus Soleil). “At the moment, my life is full of cascading emotions, attempting to co-ordinate feeding, napping and play schedules while juggling work, self-care, travel and time with friends, family and my hubby,” says Lisa. In a recent post, she talks about the journey of motherhood. Lisa had never planned on motherhood cards but once she got married, her longing for children grew. Like many celebrities today, Lisa Ray decided to come open about her journey to parenthood, which involved IVF and surrogacy. One in every six couples in world faces infertility and when people come out to talk about it, they somewhere help other couples. “I wanted to share our struggles and triumph. Having been open about my cancer journey and receiving so much unconditional support, sharing this moment of happiness feels right,” says Lisa. “Hopefully, our story can give hope to others who are struggling to have kids. Life throws you both challenges and miracles, and I’m unspeakably grateful for my miracle daughters,” she said. Lisa Ray was diagnosed with a rare form of blood cancer in 2009 and a year later in April, she was declared a survivor. Lisa married Jason Dehni, a banking executive, in 2012 in Napa Valley, California. We appreciate celebrities like Lisa Ray who openly discuss their fertility struggles and help other people understand that it can happen to anyone and that they are not alone in infertility. Actor Lisa Ray's surrogacy journey was not an easy one as she could not opt for the procedure in India due to legal hassles and later failed one cycle in Mexico. Diagnosed with cancer in 2009, the actor underwent aggressive therapy and heavy dosage of medication, because of which she could not get pregnant later. 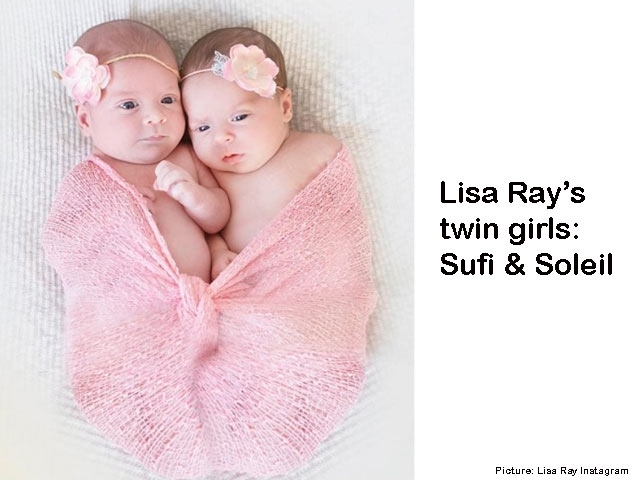 Read why did Lisa Ray go to Georgia for surrogacy and how her twins came into this world. Gabrielle Union can’t conceive because of Adenomyosis. What’s that?